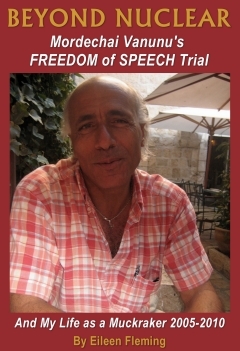 Eileen Fleming’s book Beyond Nuclear: Mordechai Vanunu’s Freedom of Speech Trial and My Life as a Muckraker is a fascinating insight into the life and mind of an activist pursuing a moral crusade against the might of a nation - in this case Israel. 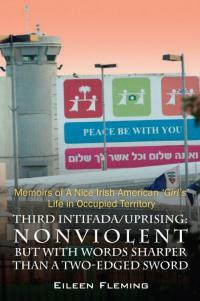 It also provides a journal of such an individual’s experiences in the complex and protracted struggle of the Middle East. Her journey of faith and belief in support of the Palestinian cause - and in particular that of Vanunu Mordechai, the Israeli dissident who served 18 years in prison for revealing Israel’s illegal nuclear programme - has been a remarkable one: she clearly believes she has a purpose and that she is guided by a higher will and perhaps this is the secret to the huge radical energy she exudes. 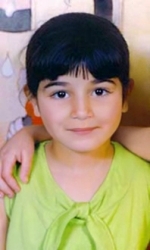 Her conflict, which is charted in the book - and to a lesser extent Vanunu’s - has been the wider Palestinian problem and the human rights abuses of the Israeli State. There are few who would doubt the hardships and injustices suffered by the Palestinian people in Israel and its adjacent lands, nor the inadequacy of the international community’s efforts to lessen their plight, but Beyond Nuclear brings this sharply into focus. It also puts the Vanunu Mordechai case in the spotlight - the story of his abduction, his incarceration and the subsequent restrictions placed upon him are all recorded here. 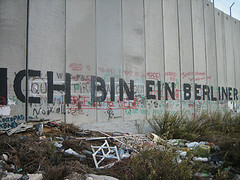 But it is the humdrum indignities that are suffered by Vanunu, the petty restrictions, the heavy handed reactions of the authorities that are most striking: the sense of isolation which Vanunu endures daily, an outcast from his own people - a man on the outside - which has become a metaphor for the Palestinian situation: the Middle East has always been a cauldron of tension and conflict - it is the story of the Old Testament - but it has never been more complex than it is now; a web of related issues: nuclear, racial, religious and geo-political are stirred into an explosive mix. Vanunu’s plight seems to epitomize this concoction: he is a Jew who converted to Christianity, a stranger amongst Palestinians, a man with whom the international community is ill at ease. 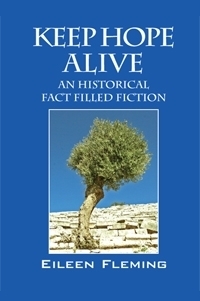 Indeed, one of the recurring themes in Eileen Fleming’s book and in Mordechai’s many interviews given since his release from prison in 2004 has been the fact that although the international community tacitly acknowledges Israel’s nuclear capability, it has never subjected Israel to a single Atomic Weapons Authority Inspection. It is the white bear in the corner no-one will speak of. And there are the occasional brighter moments - for instance, the Israeli soldier playing with Palestinian children and Fleming’s making contact with him from a Palestinian position and exchanging gestures of goodwill. It is a reminder that human beings populate such stories, committing kindnesses and atrocities with seeming equal randomness. Eileen Fleming’s book reveals the frustrations of the truly committed in dealing with the half-committed - and the merely good-willed.